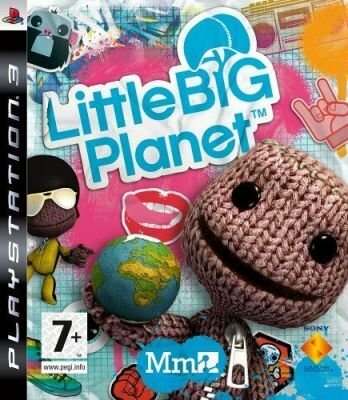 If you?ve been concerned that the new generation of consoles has had relatively little in the way of new ideas, then LittleBigPlanet should be the game to restore you faith. It?s difficult to describe properly, which is a good thing, because it means it?s very different from the norm. Peculiar machines like this are the norm in LittleBigPlanet Although combat is a minor part of the game, there are some huge bosses Creating your own levels from scratch is as easy as playing them Objects can be made out of anything from wood to sponge, metal, and felt Amazing graphics bring the world of the main character, known as Sackboy, and his fabric-coated pals to life with realistic physics and a stunning level of detail. Played with friends it?s a great puzzle adventure, as you co-operate and compete across each level. The game?s trump card though is its customisation, not just the characters themselves but the whole game. It?s extremely easy to create your own levels, and the best fun is had simply setting up areas for mucking around and then sharing them online with other people. Unlimited possibilities for your own creations ? you can customise Sackboy, the landscape around him and your own levels on LittleBigPlanet, it's easy! There?s loads to do straight off the Blu-ray disc ? but LittleBigPlanet really comes into its own when players around the world share their creations with you via PLAYSTATION Network. Get involved in the LittleBigPlanet community: includes comments, rankings and easy communication with new and existing friends. The ultimate creative experience for the PLAYSTATION 3:: make and share whatever you want!